Michael Hartnett’s Fools in the Magic Kingdom is a timely, complex, and entertaining novel, capturing both the bold outlines and the more subtle nuances of the contemporary anti-immigrant trend with a combination of biting social commentary and laugh-out-loud satire. The story is set in the Magic Kingdom—Disney World in Florida—which is a perfect metaphor for the “American Dream”: A rosy illusory world built on a hidden underworld of racism and corporate manipulation. 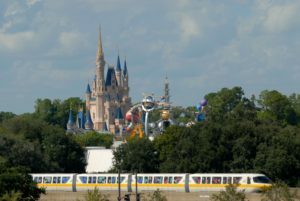 The bones of the story involve a crowd of “Dreamers,” the young Hispanics brought to the U.S.A. illegally when they were young children, who gather in Disney World on April Fools’ Day. They are enjoying the portrayal of the country in which they so much want to remain. Opposing them are various hate groups who want to “take back our World” (meaning both Disney World and the wider American society) from the Dreamers (and immigrants in general). 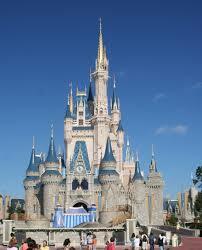 The big corporation (Disney World itself) cons and manipulates everyone to line its own coffers. Disney World might in fact be the main character in the book. It both helps and thwarts all the other characters as they pursue their goals. It offers the illusion of satisfaction to all, while relentlessly parting everyone from their money. A single illustration: On the positive side, the park provides Tucker, its chief security officer, a large, nimble, and effective security team who can take control of a disturbance almost instantly and nearly invisibly. But at the same time, the park’s vast size and enormous variety of rides, features, restaurants, and shops makes Tucker’s job almost impossible—there’s no way for him to know where the bad guys are and what they’re up to. One of the most intriguing features of Fools in the Magic Kingdomis Hartnett’s almost gleeful violation of some of fiction’s cardinal norms. For instance, there is no single plot, as I already noted. Instead, Mike mashes stories and genres exuberantly. Is this a detective story? Yup. Is this a social satire? Yup. A critique of the current social and political situation in America? Yup. A coming of age story? Yup. A romance? Yup. Its all of them, and more. The mash-ups are strikingly like Disney World: They promise (and deliver) something for everybody. Another way Mike breaches fictional conventions lies in his agility in switching points of view (POV), often within the same scene, even (at times) within the same paragraph. Yet, he’s so smooth a “head-jumper” that I never lost the thread or became confused. As an ardent “one POV per scene” kind of writer, I took guilty pleasure each time I “heard” the interior thinking of both Character A and Character B in the same moment. Mike pulled off his crimes as smoothly as Disney World makes the illusory “real.” His novel reminded me: No rule is too sacred to break—and if you want to break rules, do it with gusto! I am left with deep admiration for this book. The intricacy of the plot(s), the dimensionality of the characters (every “good” character had some darker flaws, every “bad guy” had surprising virtues), the skillful—and wholly unexpected—way the multiple stories became one story at the end, the extensive descriptions of Disney World rides and hidden spaces, and the evidence that the author has done extensive research into all facets of the Magic Kingdom (did you know there are “hidden Mickey’s” scattered throughout the park? )—all tell me I was in the hands of a master story-teller. Mike Hartnett is an author after Walt Disney’s own heart.